We don't follow the Chinese New Year at all, so we're not certain of what year it is for that country. Year of the Snake? Year of the Dragon? Year of the Dolphin? Who knows. What we do know is that for the gaming industry, we're seeing a large number of platforming titles, both 2D and 3D, that make us extremely happy. Platformers are what we grew up on as 8-bit and then 16-bit era kids. It's our fondest genre to play. 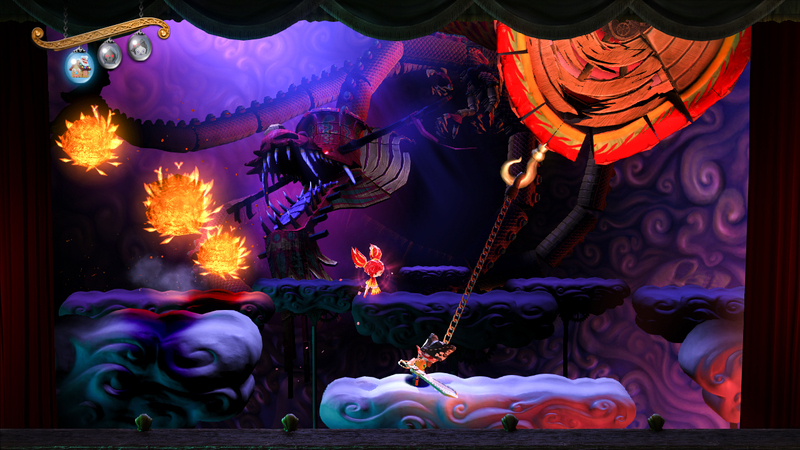 Perhaps we could call 2013 the Year of the Platformer instead of whatever animal China has. 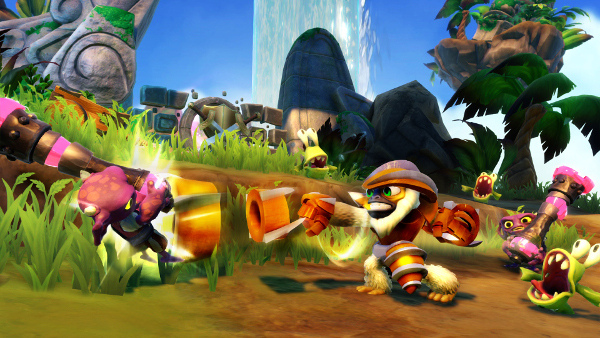 Here are nine of the biggest retail platformers that are coming out from now until the end of the year! We are of the mind that Super Mario 3D World is the type of game that players won't know they wanted until they get to experience the final version. No doubt many have already made up their minds about the game because it's not Super Mario Galaxy 3, or a reasonable substitute. 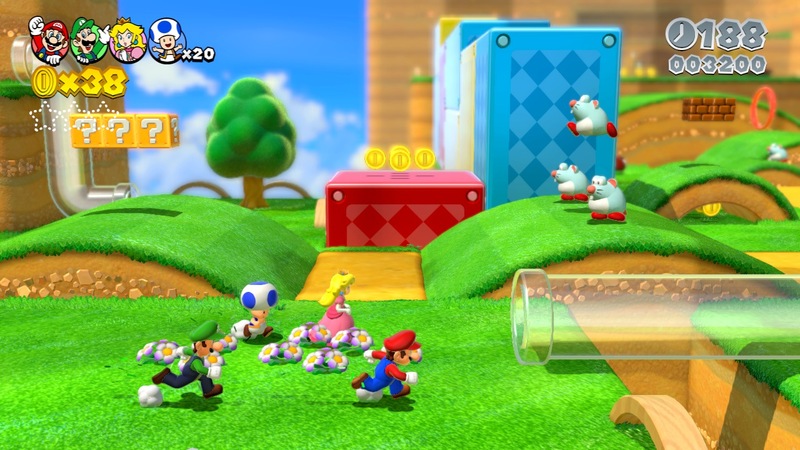 Instead, the game is akin to one of the greatest Nintendo 3DS games, Super Mario 3D Land. 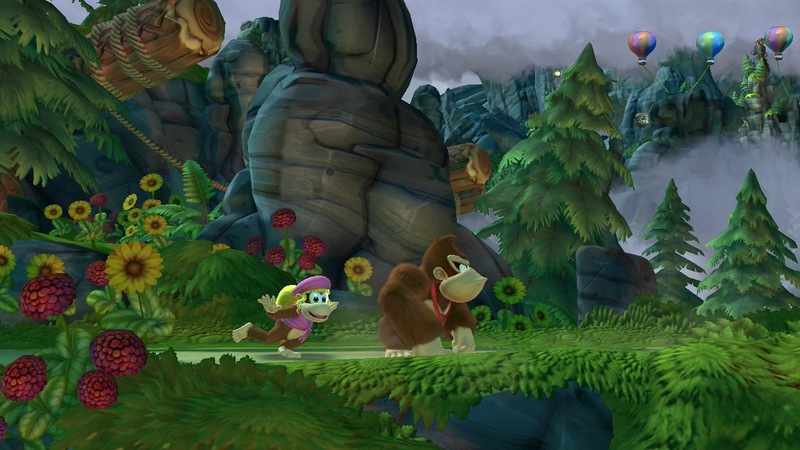 That excites us already, as that game was a perfect mix of 2D and 3D Mario gameplay. The addition of true multiplayer, a first for the 3D line of Mario games, is something we know will make us play through Super Mario 3D World a plethora of times. 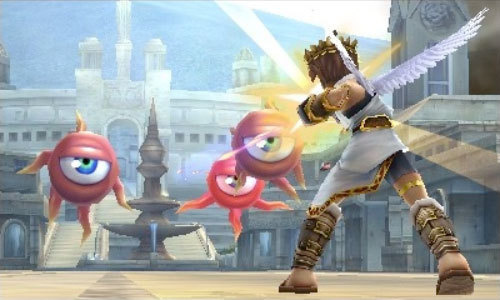 Knowing that each of the four playable characters control differently is exciting as well. 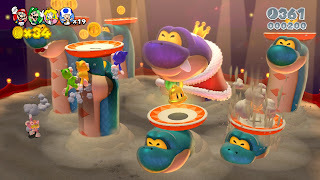 We were hesitant at first to hype Super Mario 3D World, but then we remembered that one of the greatest and most heralded studios in Nintendo EAD is working on the game. Based on their output, we can feel at ease in giving them the benefit of the doubt. Speaking of years, it's the Year of Luigi, as well. 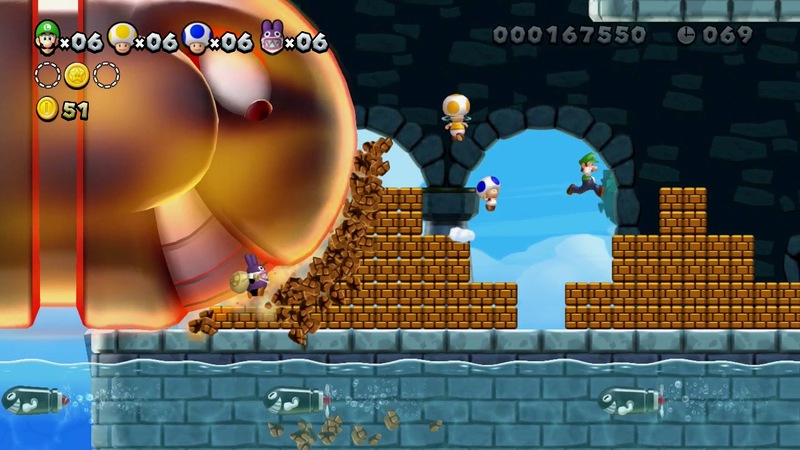 This game has already been available via downloadable content to New Super Mario Bros. U. However, a separate (and $10 more expensive) retail release is coming to North America this Sunday. 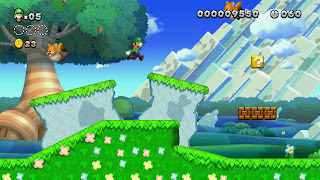 New Super Luigi U consists of drastically shorter and much more challenging levels than what players experienced in New Super Mario Bros. U. Even the first world consists of difficulty that wasn't present in Mario's adventure until much later in the game. 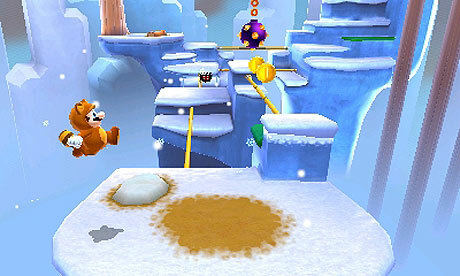 The ability to play as the untouchable Nabbit will allow even beginning players to enjoy Luigi's platforming journey. 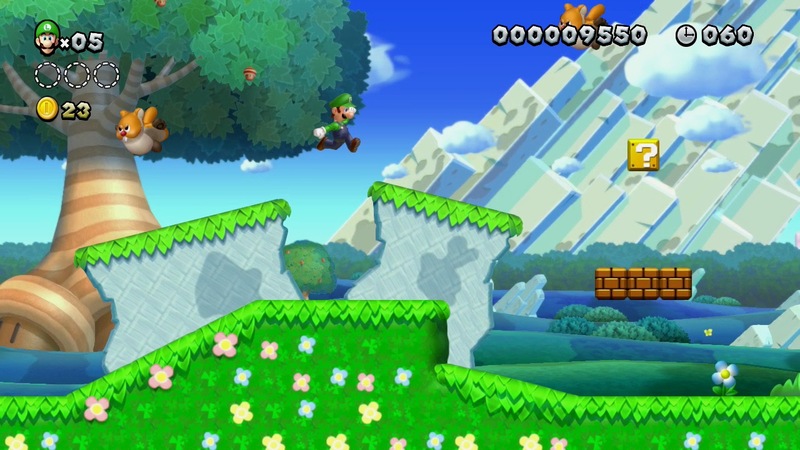 We wanted more challenge from New Super Mario Bros. U, and now with New Super Luigi U, we've got it! 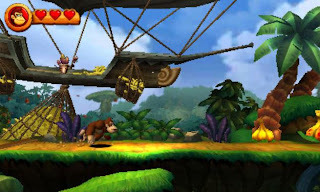 When Retro Studios was asked which project they wanted to do next, they jumped on the chance to create a new entry in the Donkey Kong Country series. After seeing how well Donkey Kong Country Returns turned out, we're feverishly anticipating Tropical Freeze, set to release some time in November. Levels are much more dynamic this time around, with barrels that blast players around giant trees with a camera that follows. 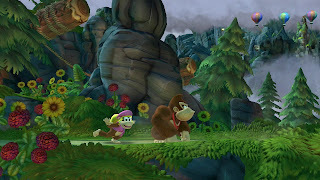 Dixie Kong has returned from her long hiatus from the series, and speaking of hiatuses, Dave Wise, the original composer of the SNES trilogy is on board to create the music for this Wii U exclusive. Did we mention that swimming has returned as well? Donkey Kong Country: Tropical Freeze is shaping up to eclipse Retro's initial DKC offering, and that will be one amazing achievement. People often bring up the "Sonic Cycle" for new Sonic the Hedgehog games, but if Sonic Colors and Sonic Generations are anything to go by, that so-called cycle has been broken for a while now. 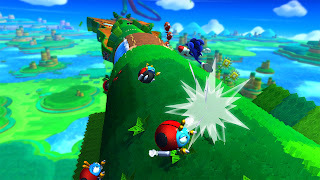 Sonic Lost World hopes to continue that streak, and thus far the circular worlds of the game and parkour-like platforming make us cautiously optimistic. 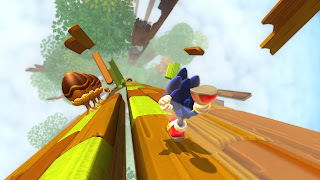 Controlling Sonic is much easier, utilizing the shoulder buttons to set Sonic's speed. This is contrary to past games, where you didn't have as much control over how fast Sonic ran. Without a shoulder button held, Sonic simply saunters. It's only when a shoulder button is pressed down does he speed through levels. Sonic Lost World came as a surprise, and we hope that it succeeds in giving Nintendo another excellent platformer and game on their system. The past two Ratchet & Clank games were respectable in the regard that they tried something new with the series. That said, they were lesser experiences compared to past installments. All 4 One tried four player co-op both online and off, and Full Frontal Assault attempted an action-based tower defense game. Ratchet & Clank: Into the Nexus is a budget title ($29.99 MSRP) that returns the lovable lombax and robot pair to the origins of the series: action platforming with a focus on leveling up weapons through repeated use and using gadgets to explore the colorful worlds of the game. 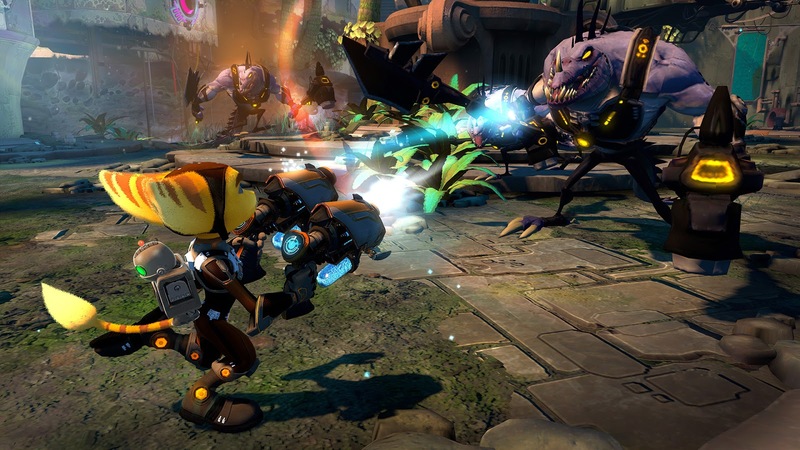 Ratchet & Clank is one of our favorite PlayStation franchises, and we cannot express how happy we are to see the series return to what made it so popular in the first place. 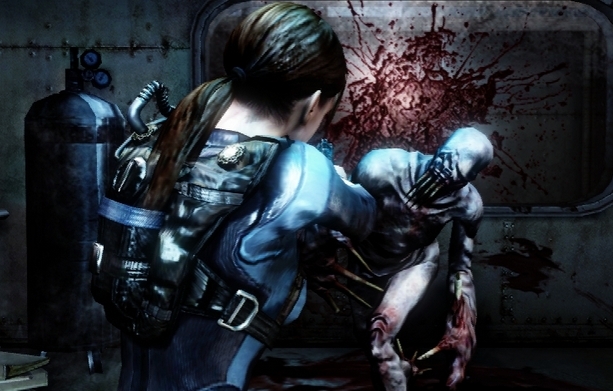 Sony's Japan Studio has not been very pronounced this past generation. They seem to be coming back with a vengeance, however, with the upcoming early September release, Puppeteer. The game is a 2D side-scroller which has players controlling Kutaro, a boy who has been transformed into a puppet and has had his head stolen. Using a magical pair of scissors, Kutaro goes on a platforming journey to retrieve his pilfered head and return to his own world. Sony has no doubt impressed us with the amazing amount of new franchises they have created in the PlayStation 3 era. Not only are they new franchises, but they're new experiences. So many times new IPs are made that simply feel like games we've already played. Puppeteer is thankfully not one of those, and that's why we're so hyped for it, regardless of how well (or bad) it will do commercially. Let's get this out of the way. We've tried the PlayStation 3 demo of Rayman Legends, and the Murray parts just don't work as well as the Wii U version. 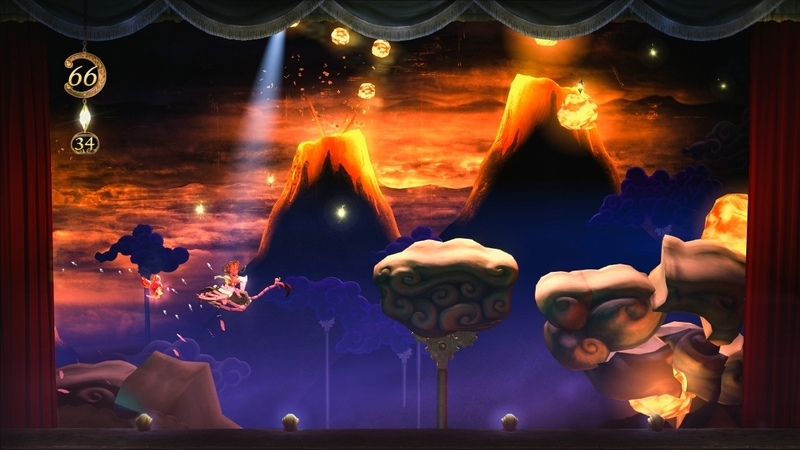 That shouldn't be any surprise, as the Wii U was the system Rayman Legends was built for. Nonetheless, we're bound to have a good time regardless of the platform we get the game on. 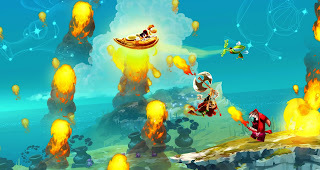 Ubisoft's delay of Rayman Legends has given the game a multitude of new levels, boss battles, and even Rayman Origins levels made using Legends's sophisticated graphics engine. 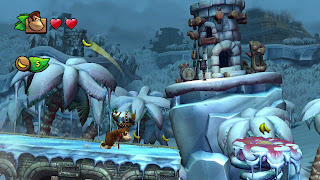 We cannot wait to finally be able to insert the Rayman Legends disc into our hungry Wii Us. Multiplayer is going to be an absolute blast, if Rayman Origins is anything to go by. We'll most likely be the first ones at our local game store to pick up Legends when it releases early next month. Lucky European gamers can grab the game next week. Disney Infinity released this past week and has given this next game series some stiff competition. The third game in the Skylanders series is set to release in North America first (unlike past games that Australia received first) this November. 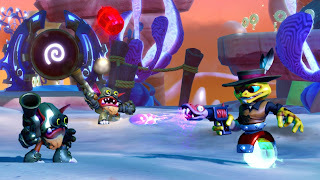 It's called Skylanders: Swap Force, and the swapping in the title refers to how each figure has a top half and a bottom half. These can be swapped with other figures to create entirely different creatures. 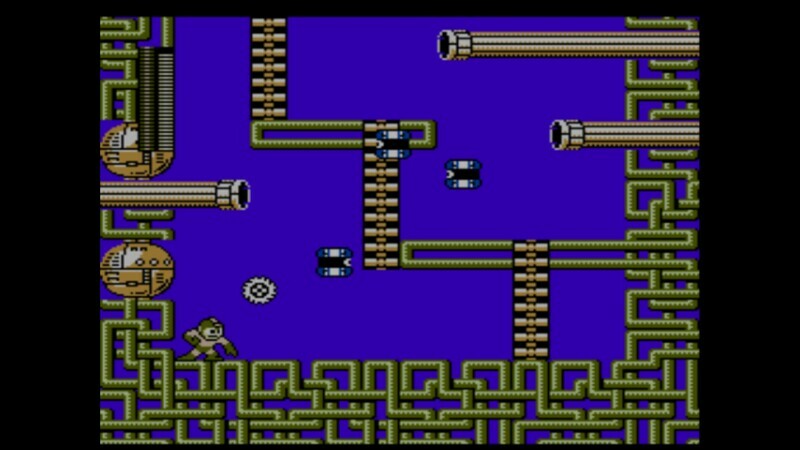 While past console installments have been brawlers with some exploration, Swap Force allows each character to jump, expanding the level design possibilities greatly. Seeing as Skylanders: Swap Force is releasing on practically every platform under the sun, it will be hard to miss when it releases in a few months. 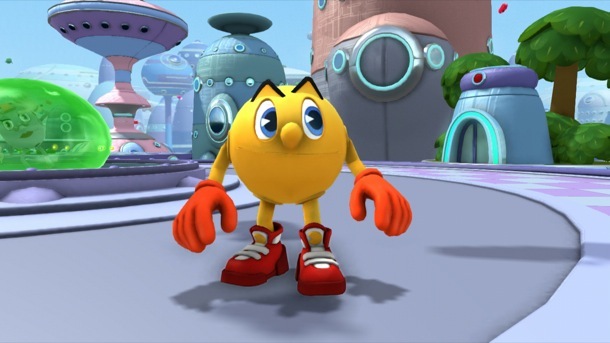 Okay, we might be stretching it with this one, as Pac-Man as of late hasn't had the greatest success game-wise. Furthermore, a game based off a television show isn't the most promising proposition either. 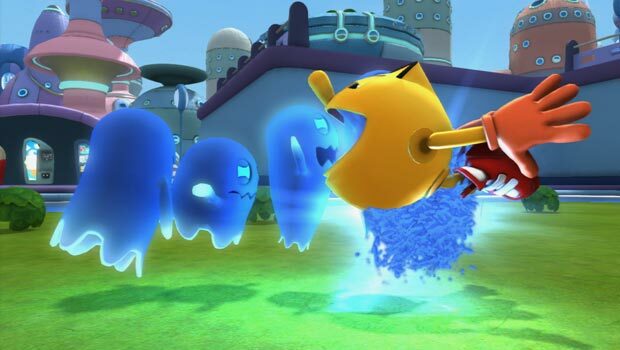 Regardless, we're listing Pac-Man and the Ghostly Adventures here anyway. If Namco Bandai can fix some of the issues of the Pac-Man World games, such as the camera, for one, Ghostly Adventures will be a much better game for it. While the console versions are 3D platformers, the 3DS version has us most interested, as it is entirely 2 1/2-D. We'll see if our skepticism of Pac-Man and the Ghostly Adventures is justified when the game releases towards the end of November. Recently, GameTrailers had a discussion and released a video dealing with the possibility of Nintendo removing the Wii U GamePad from the Wii U package. As current Wii U owners and just people in general with some sense, we argue against the side that thinks that Nintendo should take such a drastic measure. There are various points for our reasoning, so see if you agree or disagree with us. 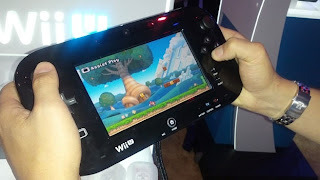 First, cost is a topic that is brought up a lot, but we don't really know how much the GamePad factors into the overall cost of production for the Wii U system. 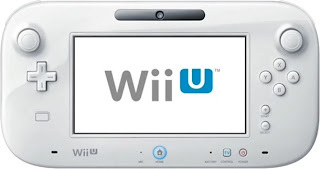 People spout out numbers randomly, but Nintendo has never and probably never will revealed the price of making the GamePad for every system, so it's difficult to ascertain just how much (or at all) removing the Wii U GamePad would affect Nintendo's bottom line. Secondly and a more important point, dropping the Wii U GamePad from the equation would take away what actually separates the Wii U from the competition. You take away the GamePad, and what you are left with is an underpowered (compared to the PlayStation 4 and Xbox One) console with no hook to it. Nintendo has made it clear that they cannot compete in an arms race with Sony and Microsoft. We've seen Microsoft this past generation throw as much money as possible to get to where they are today in the gaming industry. Part of the reason why the Xbox brand is so popular now is all of the exclusive deals that money gave Microsoft and their Xbox 360. Nintendo doesn't have that benefit. They don't have multiple other departments like computers, televisions, movies, an online browser, MP3 players, etc. that Sony and Microsoft have. Despite how influential Nintendo has been to the industry, money-wise they are a small fish in a big pond. They only deal in gaming, unlike the others. 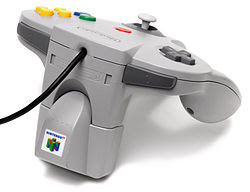 The point of all this is that Nintendo uses what critics like to call "gimmicks" (despite the d-pad, analog stick, rumble, and more-- all made popular by Nintendo, all called "gimmicks" in their time) to set their consoles apart and make their financially sound humble in power consoles from the competition. Nintendo has even tried to compete tech-wise with the competition before with the Nintendo 64 and GameCube, and all that did was make them lose a massive amount of market share through the years. So when someone wishes that Nintendo would have just made a "normal" console instead of what they've done, we sort of shake our heads and say they've tried just that in the past and have failed. Dropping the Wii U GamePad means dropping one of the only things the Wii U currently has going for it, as people are not going to just be happy with a souped up Xbox 360 by Nintendo. fact, that was once Sony's argument this past gen.
Moving onto another point, when something is made optional, it's usually not used much, then. 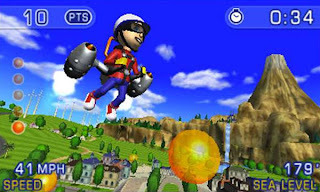 Even Nintendo's own Wii MotionPlus peripheral, which was packaged with the highly successful Wii Sports Resort, did not receive much in the way of support from third-parties. This is despite the accessory and the included game (or is it the other way around?) selling in the multi-millions. Why, you ask? Because optional peripherals do not garner high support. All the proof you need is history. The Wii Fit Balance Board has its place in many homes across the globe, yet the support for the device was minimal at best. Case in point, if it doesn't launch with the console, it probably won't be used by many developers and by many games. When someone says that Nintendo should drop the GamePad and make it optional, not only would it tick off buyers who already have the Wii U, but it'd make it so the GamePad would be much less used than it is already and things like the absolutely awesome Miiverse would be less popular and less used as well. 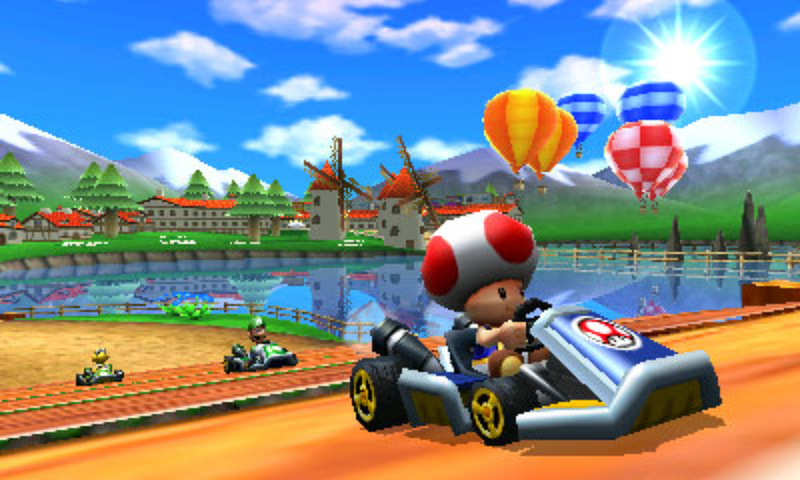 By far the greatest experiences we've had with the Wii U GamePad is its off-TV play. It's nowhere near as advanced as what Sony has come up with concerning their upcoming PlayStation 4 and PlayStation Vita Remote Play, but the Wii U solution is also not nearly as expensive either. Regardless, being able to watch the baseball game while running through the Mushroom Kingdom in New Super Mario Bros. U or while taking down behemoth creatures in Monster Hunter 3 Ultimate are experiences we absolutely cherish. 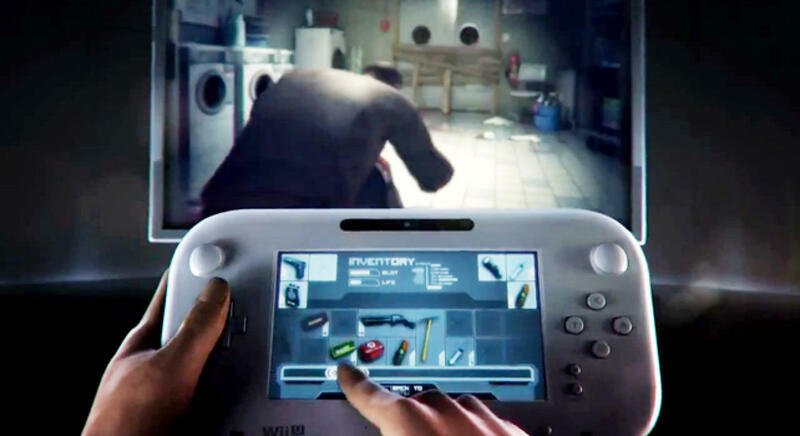 The Wii U GamePad is still struggling to gain traction. People argue that nobody wants it and cite current abysmal sales as the reason why, but we argue that the Wii U is not selling because the games haven't been there, nor have they been there in a consistent manner. 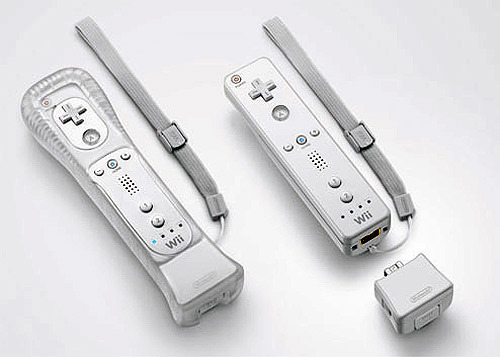 We also argue that there's still plenty of brand confusion regarding the Wii and Wii U. It's easy to say Nintendo "should have done this" or "should have done that", and it's easy to say that someone's solution would have worked better, especially when there's no real way to prove a hypothetical solution wrong. 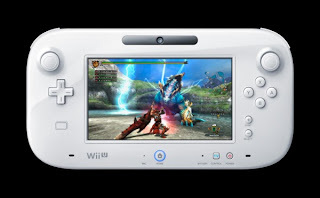 That said, removing the Wii U GamePad from the equation is yet another short-sighted solution that would do more harm to Nintendo's brand than good. Welcome to volume eight of one of our favorite segments here at SuperPhillip Central, Best Levels in Gaming History. No, your eyes do not deceive you. We're retroactively changed the name of our segment from Great Levels in Gaming History to Best Levels in Gaming History. Oh, the nerve of us. 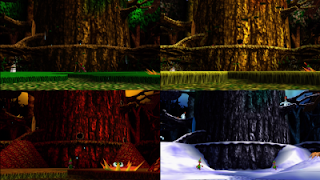 Regardless, we continue our look at levels that we deem the greatest in design, most fun to play and most memorable of all. Today we have some of the most entertaining games of all time to share with you-- many of which were listed on SuperPhillip Central's Top 100 Games of All Time ten week event. Things get much hairier for Samus Aran when she enters the Phazon Mines, the center of all Space Pirate activity on the wondrous planet of Tallon IV. 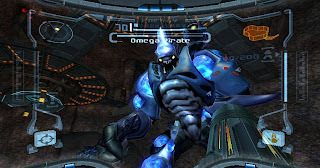 With the heavy pollution, massive amounts of machinery, and radioactive Phazon that will damage Samus upon contact unless she is wearing the ultimate suit in the game, the conveniently called Phazon Suit. 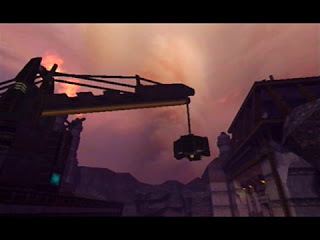 The Space Pirates are certainly up to no good in the Phazon Mines, mining Phazon, pollution the sky into a pink haze, and keeping multiple Metroids locked up (but not for long) under quarantine. 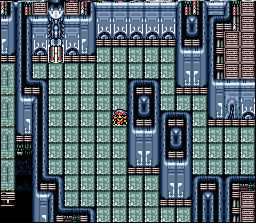 Phazon Mines is so awesome because you feel like the Space Pirates are putting everything they have in stopping Samus from venturing into the depths of the mines. 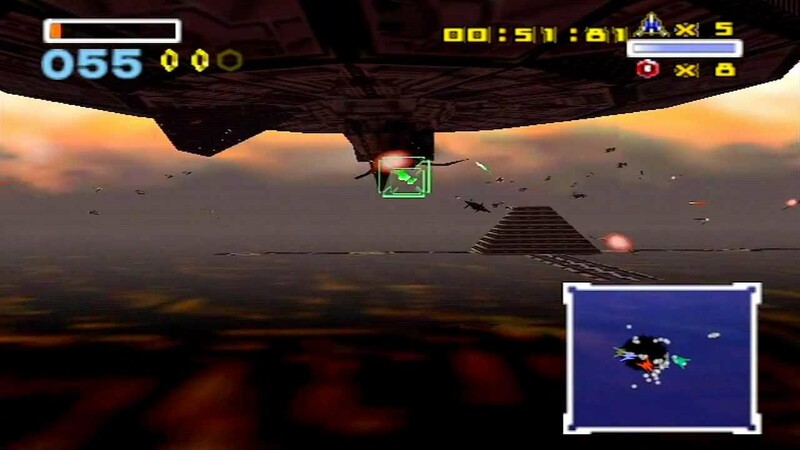 There's automatic turrets, cloaked drones, different elemental varieties of Space Pirates, Elite Pirates, and the most menacing creature of them all, the Omega Pirate, delivering one heck of a boss battle for players. 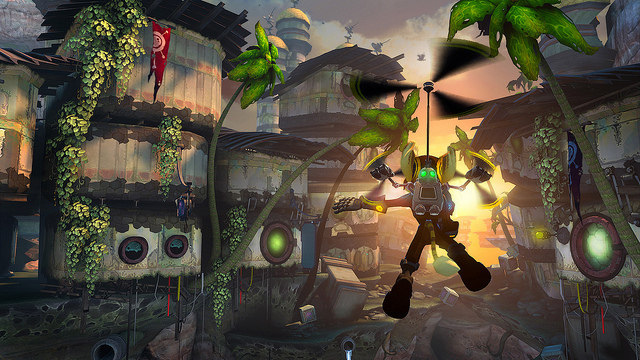 Then there's how vertical the area is, offering plenty of fantastic first-person platforming action and adventuring. 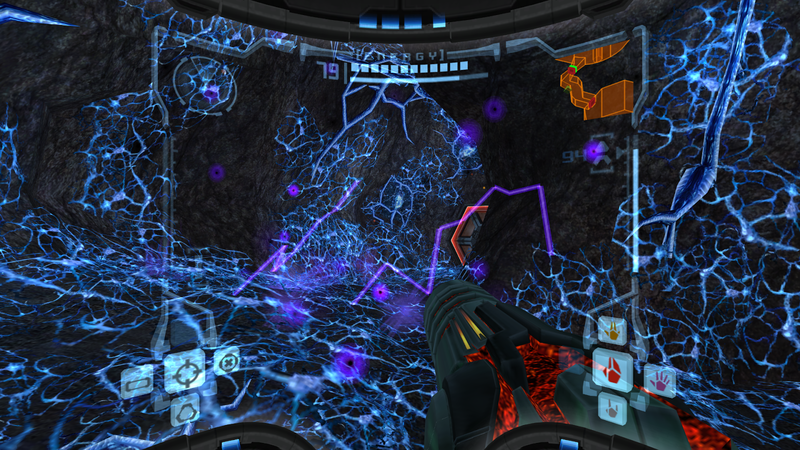 The Phazon Mines are indeed a very cool sight in a game that is full of magnificent areas. 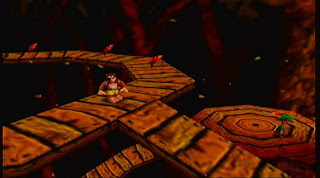 The final world of the Nintendo 64's greatest 3D platformer (in SuperPhillip Central's opinion at least), Banjo-Kazooie, is one that requires players to visit each of its seasons. It is none other than Click Clock Wood. 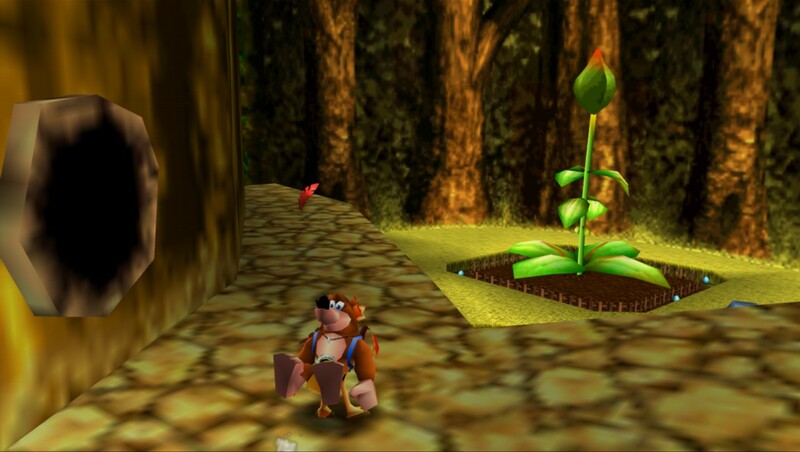 You start off in a wooded area with four doors, only one which is accessible to Banjo and Kazooie, Spring. Through finding the switch to open the next door containing the next season, you can venture from Spring to Summer, and then Fall and Winter. The fun of Click Clock Wood is how doing something in Spring will affect the next season, and so on. One Jiggy objective requires you to perform actions across all four seasons to obtain it. There's a squirrel to gather its acorns in the fall so he can hibernate for the winter, a beaver whose home is blocked by a giant rock that Banjo can destroy during the summer (when the moat surrounding the central tree structure is barren), and the ability to freely fly around the spring version of Click Clock Wood thanks to Mumbo Jumbo's bee transformation. Click Clock Wood is a terrific way to cap off Banjo-Kazooie, and it's a highly creative world, too. 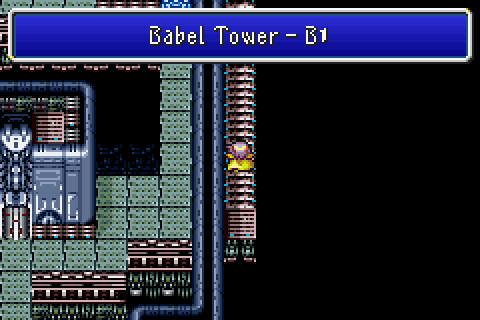 What's great about this level is that it works as a level AND a boss fight. 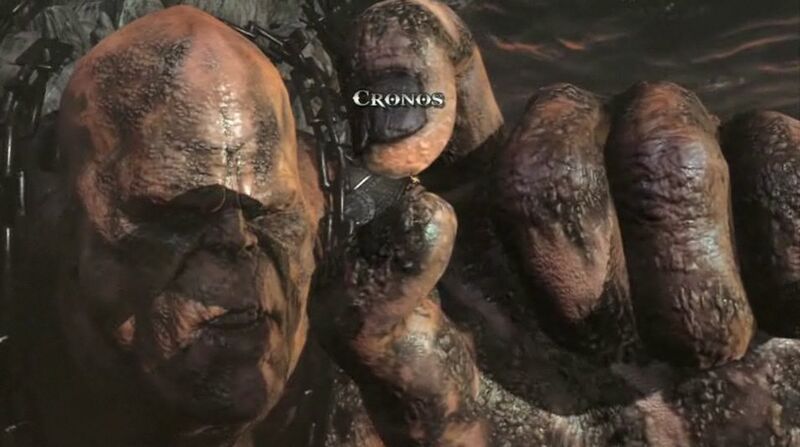 We're choosing the former to represent Cronos from God of War III. After Kratos got Pandora's Box, Zeus banished the titan Cronos to the Pits of Tartarus, and this earth-based colossus is pretty pissed about it. The sheer size of Cronos makes the bosses in Shadow of the Colossus even envious of him! 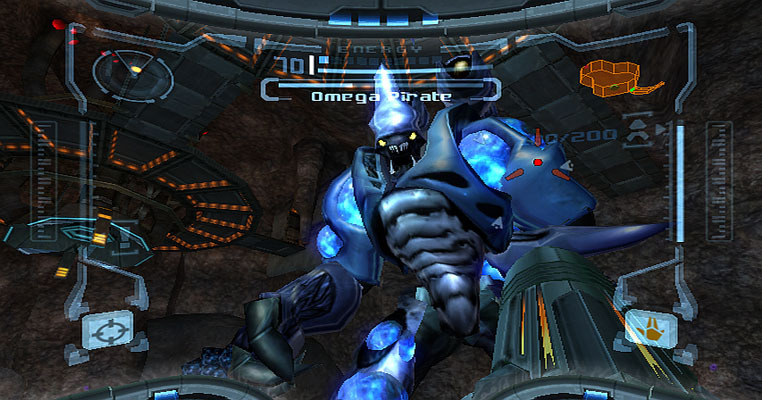 Kratos is but a bug to him, as seen in the screenshot above, nestled between the titan's two fingers. 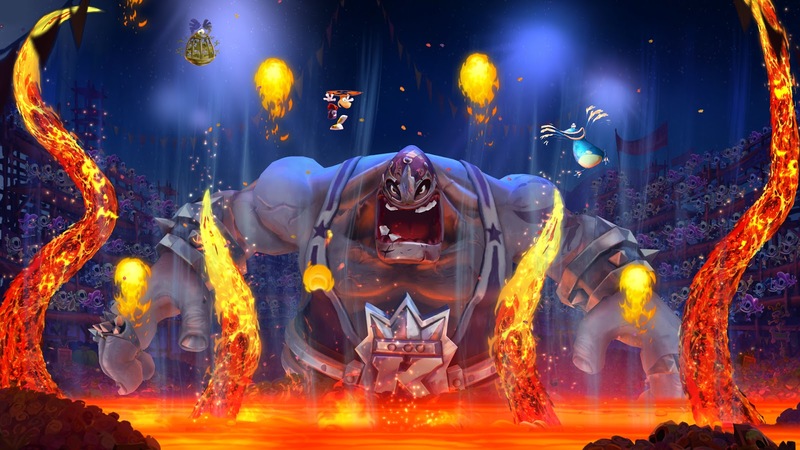 Kratos, however, gets the upper hand... and arrives on Cronos' upper hand, where he does battle with summoned enemy fodder. He battles these foes while dodging the humongous hand and fingers of the boss. 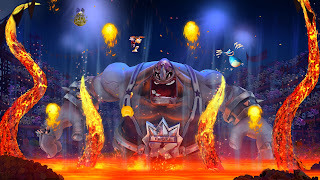 This level, this boss encounter, is one that is truly unforgettable, as it has Kratos scaling up the behemoth body of Cronos, as if he were climbing a wall, slamming his chained blades into the titan's flesh, swinging around, dodging Cronos' advances. Perhaps Cronos' undoing is when he swallows Kratos. Unfortunately for him, Kratos uses his blade to carve a path out of the titan's chest. After impaling Cronos with his own crest, Kratos leaps up to the titan's forehead, slams his sword straight into his skull and wins another battle. Absolute coolness... and icky, too. One of the most memorable dungeons for us in the earlier Final Fantasy titles is Final Fantasy IV's Tower of Babel (or as it is called in the Game Boy Advance version, Babel Tower). It's a hulking structure that stretches from the inside the earth all the way up higher than airships can fly. The tower features multiple hidden pathways and rooms that lead to some terrific treasure. Unfortunately, a lot of these treasures hide monsters inside, and deadly ones at that. Regardless, when the encounters are as challenging and as fun as the ones in this towering dungeon, we really can't complain. It's a dungeon so nice that Cecil and his party just so happened to visit it twice. 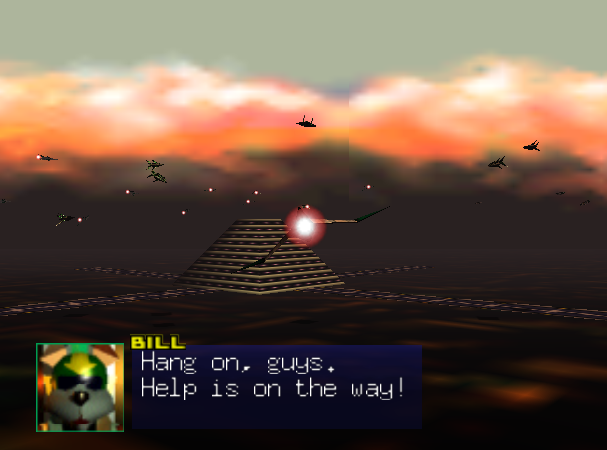 Unlike the other levels previously mentioned in Best Levels in Gaming History, Katina from the brilliant Star Fox 64 does not have our heroes on rails. 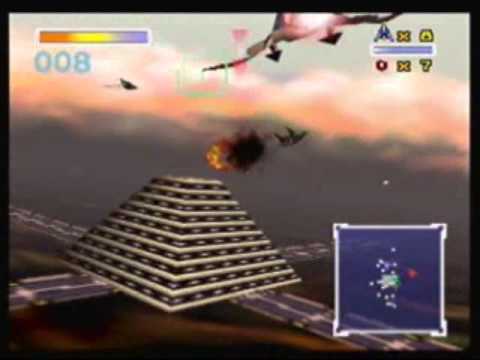 Instead, Katina is a 360 free-flight mission, and the immense number of enemies and friendlies that soar in the sky around the center base is a pure adrenaline rush. 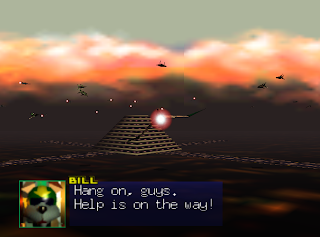 Taking a page straight of Independence Day with Will Smith and Jeff Goldblum, an enemy mothership enters into the fray about a minute into the mission and hovers over the resistance base of Katina's forces. The goal is simple, destroy the four hatches on the underside of the mothership when they show themselves. Then the core will appear, requiring Fox and the team to destroy it before it can obliterate the base with a massive energy beam. 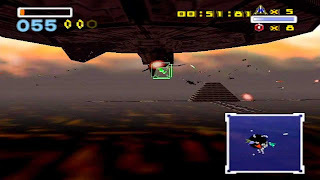 Whether you succeed and go to Solar or fail and go to Sector X (I usually succeed and opt to go to Sector X anyway, as I like that level more), Katina is a mission that is just spectacular, flying with your buds, engaging in intense dogfights with enemy ships, and "accidentally" shooting down friendlies. "Wait! That's one of ours!" You said it, Peppy. You said it. Which levels have you played in the past that you think should hold a spot on a future volume of Best Levels in Gaming History? Think about it for a little bit, and then return here with your thoughts. A new assassin has been revealed, just in time for Gamescom. It's none other than Firefly. Batman will no doubt have his work cut out for him when Batman: Arkham Origins releases October 25 worldwide. We've already looked at the 16-bit era of gaming earlier today, so why not take a glance at the 8-bit era as well. 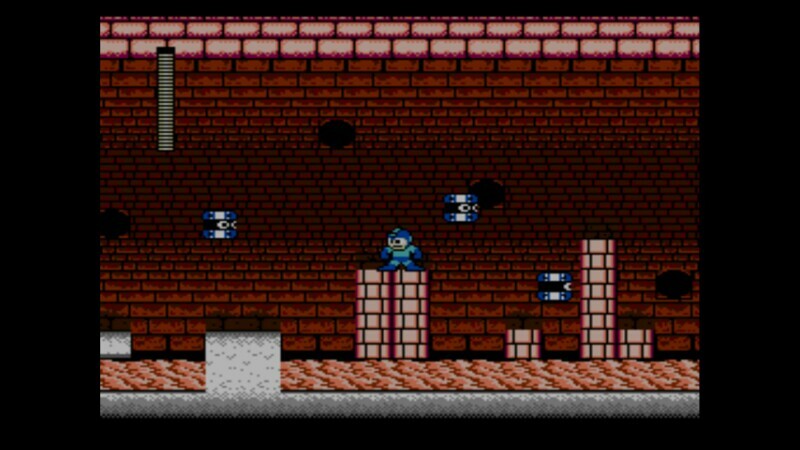 Here is a review of the retro variety, celebrating all things awesome with Mega Man 2. Here is our review. 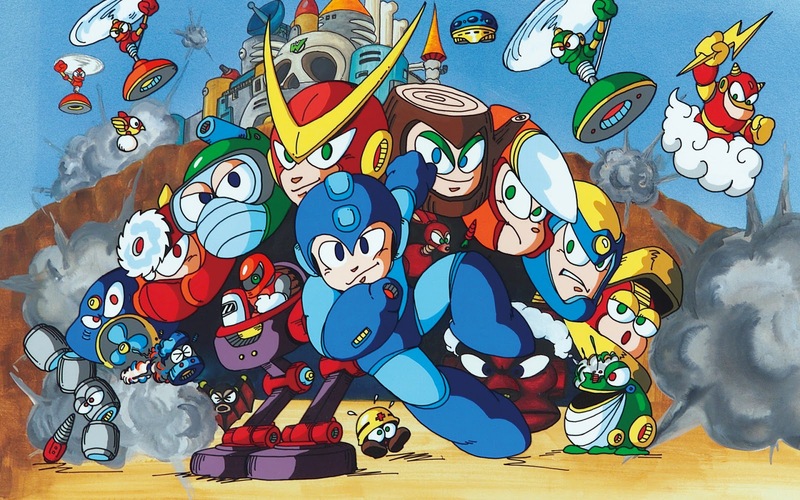 Mega Man is a franchise that Capcom would rather forget, it seems. To put it in perspective, Nintendo appears to be doing more with the series by including Mega Man in the next Super Smash Bros. games than Capcom is currently doing. Fortunately, Capcom isn't entirely turning its collective back on the Blue Bomber, as they are releasing his classic games on the Wii U's Virtual Console service. 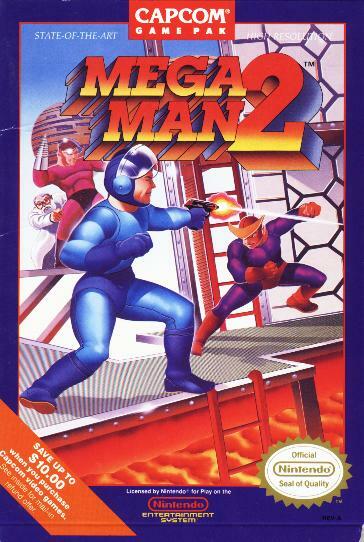 One of the most celebrated titles of all Mega Man's multiple series and spin-offs is Mega Man 2. Come see why it certainly deserves its due credit. to stay on that rotating gear! For those who have no idea what the Mega Man series is all about (have you been living under a rock[man] for the past two decades? 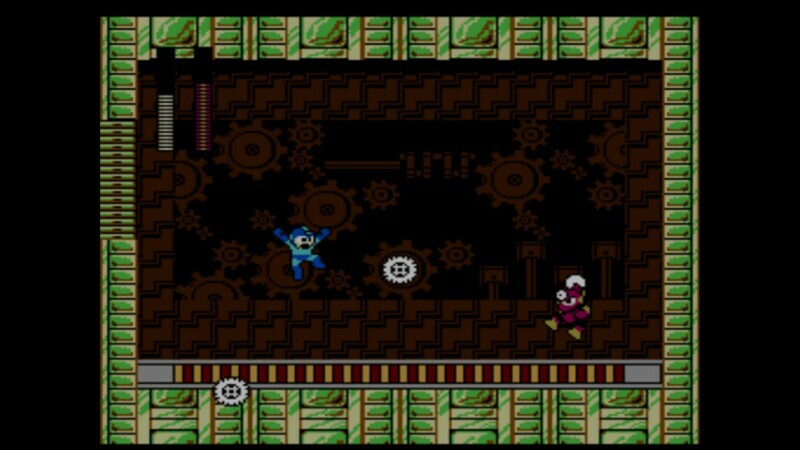 ), each classic Mega Man game (save for the first) pits the Blue Bomber against eight Robot Masters. You, the player, are allowed to choose which order you wish to take their levels and concluding boss fights on. This was a huge innovation way back when, but the innovation actually doesn't end there either. Each Robot Master (boss of each level) has a weakness to another Robot Master's special primary weapon. 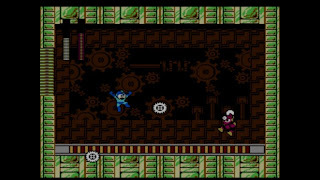 As Mega Man defeats a given Robot Master, he copies their ability, allowing him to use that weapon in and out of boss battles, including the severely overpowered Metal Blade. For instance, Heat Man is weak to Bubble Man's special weapon, and if Mega Man uses it on him, Heat Man will go down in a handful of hits. 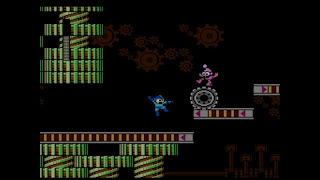 While there is a recommended order of levels for beginning players to follow (the best order starts off with the Robot Master that is the easiest to eliminate with Mega Man's default weapon), expert players can make the game harder by going out of order, or even taking on every Robot Master with only Mega Man's default weapon. Each Robot Master stage has its own obstacles, enemies, hazards, setting and theme. 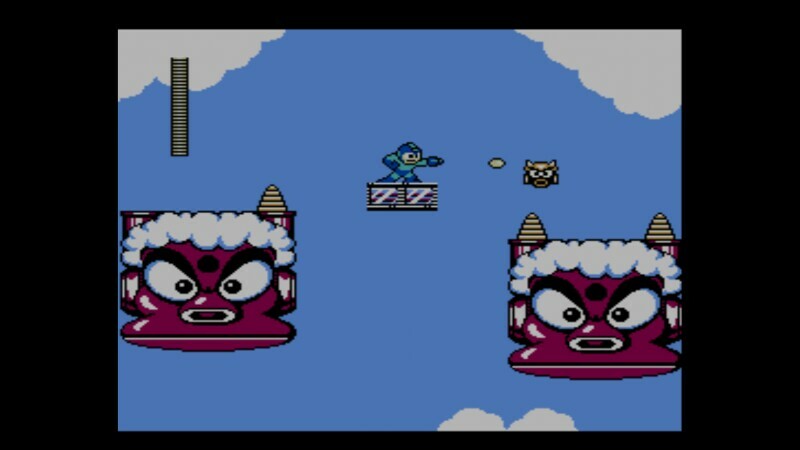 Air Man's stage is completely above the clouds and in the sky. You must jump from cloud to cloud, mechanical monster head to mechanical monster head, all the while always being threatened with a bottomless pit under you for careless players to fall into. Meanwhile, Crash Man's level has you riding on platforms that ride along an lined path. You need to stay on it while shooting down enemies, which wish to knock you back to the ground below. 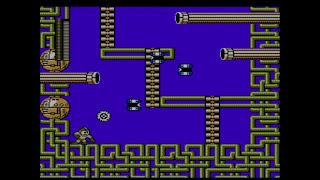 Lastly, Quick Man's stage is a nightmare without Flash Man's time-stopping ability. You have to think quick (pun intended) on your two blue feet as you try to evade giant killer laser beams otherwise. There are generally a few checkpoints per level, so death doesn't mean you have to replay the entire level over again like many games of the 8-bit era would punish you with. Don't get me wrong-- Mega Man 2 is still challenging, even with the comfort of checkpoints. Still, even if you do lose of all your lives, you can continue your game from the stage select screen. Previous Robot Masters defeated will still be gone. If the normal difficulty isn't doing it for you, you can always play on Difficult mode. Enemies deal out more damage, and the game is just even harder than usual. These foes will put the screws into Mega Man. Mega Man 2 is a much improved game over its predecessor. 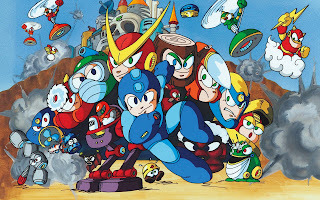 For one, it's a longer game, featuring eight Robot Masters to defeat instead of just the six from the original Mega Man. This is a feature that future Mega Man games would have. 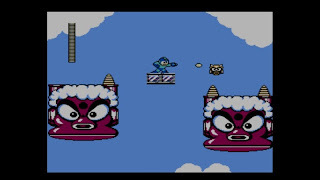 Another aspect of Mega Man 2 that would live on are Energy Tanks. 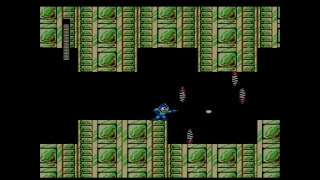 Mega Man can collect and hold onto up to four at a time. These restore his health completely when used, so they're without a doubt usually hidden well. Perhaps my only beefs with Mega Man 2-- something that I know might disturb some fans of the game, as many find the game to be perfect-- are very small ones. 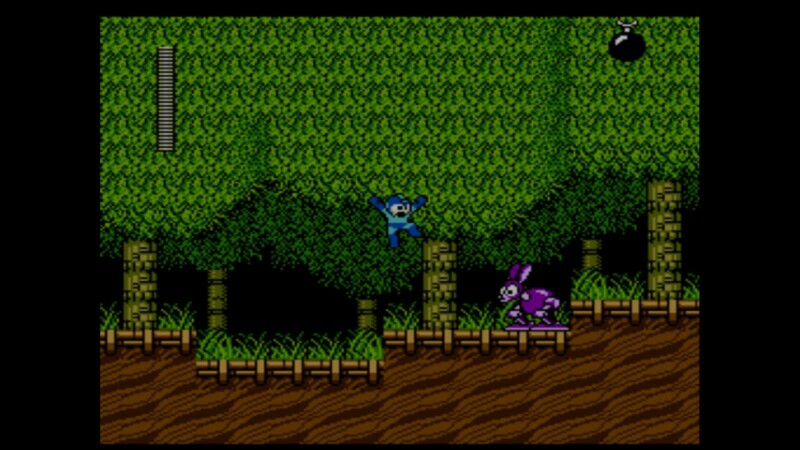 For one, after you have finished a level and beaten the Robot Master, you can't return to that stage. I'd love to be able to replay levels without having to start the game over again. One annoyance occurs with a boss in Wily's Castle stages. It requires you to use the Crash Bomb to defeat several targets. If you mess up and run out of weapon energy, you have to grind outside the boss door for energy. Very vexing. Lastly, and this deals with the performance of the game, there is a lot of sprite flickering when there's more than a few sprites on screen at the same time. Thankfully, this is but an aesthetic issue, however, and has nothing to do with the gameplay. Mega Man 2 is a short experience, giving players a brief experience around 2-3 hours total. However, it's a game that you'll want to play through again and again. It's that good. My minor beefs aside with the game, Mega Man 2 delivers a challenging platforming with enough action that has kept players coming back for over two decades now. The addition of restore points in the Wii U Virtual Console version means even the worst player can get through the game with some patience and determination. Mega Man, you rock.